Young Jack Perrett is constantly on form. New single 'In the Morning' was released on Friday 17th November and is yet another tune that I can't stop listening to. His sound is constantly developing and improving with every new listen I give him and I definitely think this lad has got a bright future. Look I mean most 'singer/songwriters' that you would put under that umbrella are shite aren't they? They're either jumped up X-Factor contestants with sob stories or lads with bad long hair, Topman hats worn at a jaunty angle and even worse jeans... Less said about them lot the better. Jack's a proper lad and plays great guitar music that would have a pub full of booze-filled footy lads up on their feet in seconds, even after the worst defeat. 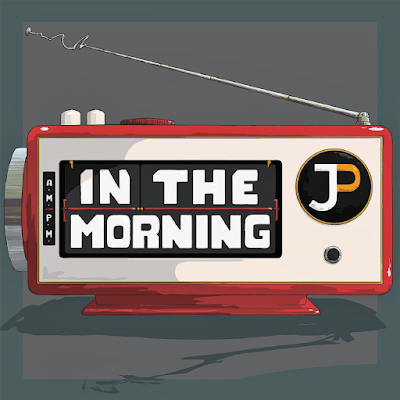 'In the Morning' takes his sound to new levels again and has huge 60's connotations throughout. He's kicked up the guitar here with a more electric sound than ever before. Jack's vocal is superb and it really brings to life this tune from the off. It hits you instantly and gets straight to the ear drums, right in the sweet spot... It's a stomper and wouldn't sound out of place in the middle of one of my sets. Jack's got some backing vocalists for 'In the Morning' which allow him to showcase his harmonies and he does a great job at this. 'In the Morning' is packed with punch and swagger and would be a great way to upon up a live set. It's a clear progression from Jack's earlier releases and sounds fresh and inviting to the ears of the sussed. It's a great way to end the year and kickstart what promises to be a big 2018 for the young lad from Newport.